Hitting the Road for NYC! It’s a busy week for me as I prepare to leave town for my first mini-book tour. Most of this information is on the Speaking Schedule page, but I wanted to collect it all here for those interested. This presentation (7:00 p.m.) is part of a roundtable sponsored and moderated by Juan González, who is a former Young Lord and the current Andrés Bello Chair in Latin American Culture and Civilization (the first US Latin@ to hold this chair). Other roundtable participants include scholars and former Young Lords. Discussion will be followed by a Q&A and a reception. More details can be found here. The livestream can be viewed here if you can’t be in attendance. This presentation (at 6pm), based on the third chapter of my book, will be presented as part of the ¡Presente! 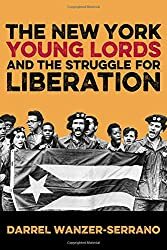 The Young Lords in New York exhibition at The Loisaida Center. Information about the event can be found here. Space is limited to the first 75 people, so don’t be late. Books will be available for purchase at the event and I’ll be more than happy to sign them. Here’s a link for the Facebook event. This presentation (at 2pm), will include a short reading, an explanation of the process of researching/writing the book. It will leave lots of time for Q&A and will be followed by a screening of Millie and the Lords. A Facebook event for this is available here. They’ll have plenty of copies of the book available for purchase and, again, I’m happy to sign anyone’s copy. Next Next post: Big Week of Recognition!